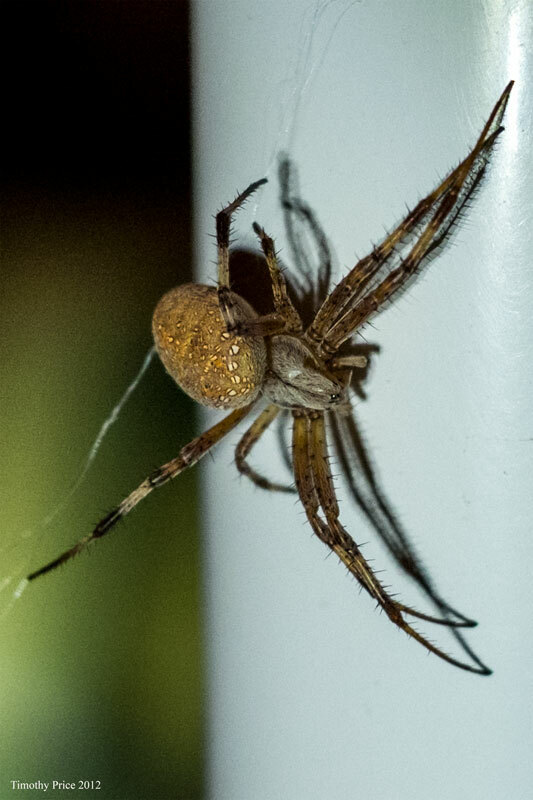 When I went out to turn on the drip system last night, this spider had built a huge web across the steps on the south side of the deck which gives me direct access to the faucet. 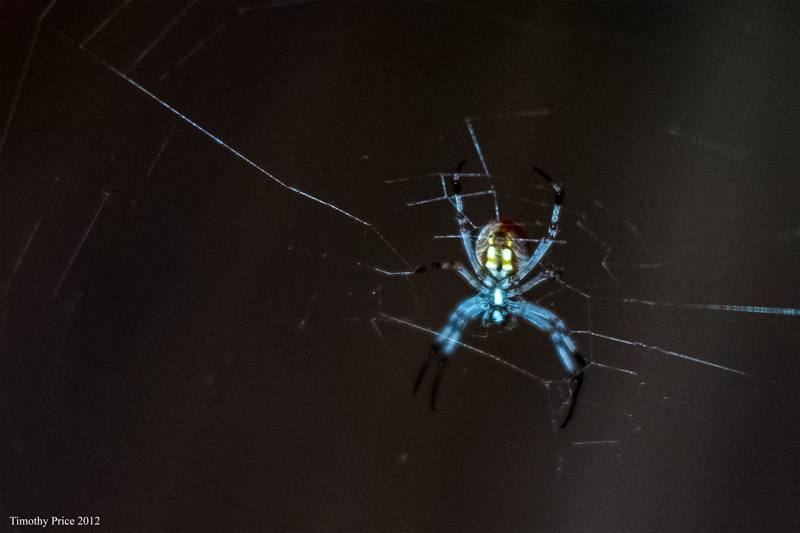 I took the long way round and photographed the spider by the light of my flashlight. Although she is an ochre color, she reflected blue on her underside. 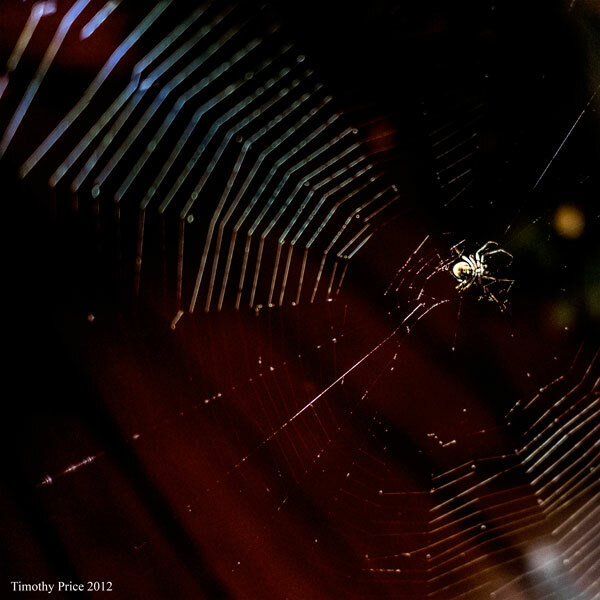 I went out first thing this morning to photograph her in early morning light, she and her web were gone. All I can figure is a raccoon or kitty or some other critter got up on the deck and snagged the web and took it out.